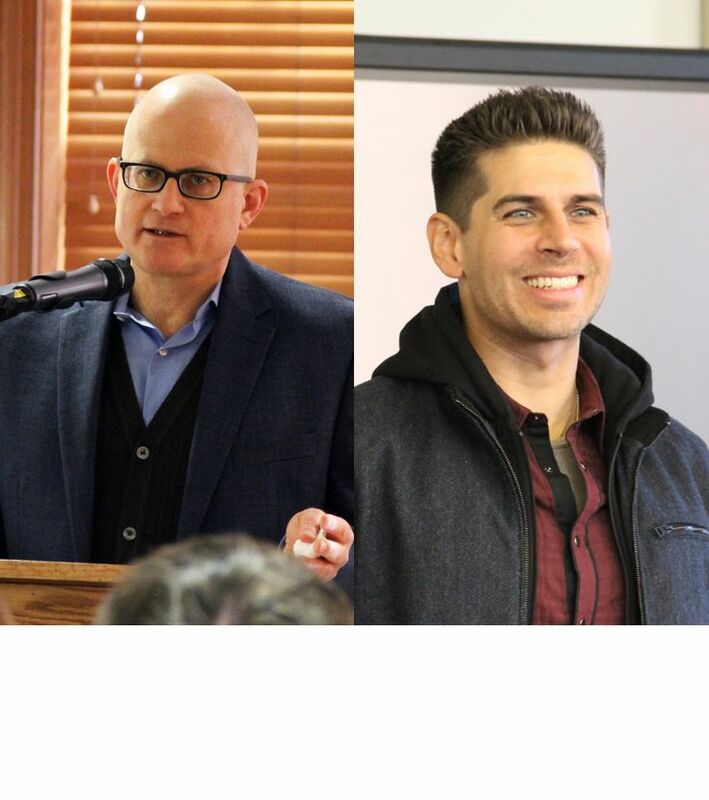 Two visiting poets, Christian Wiman and Carlos Andrés Gómez, bookended the week of January 7th and sparked discussions surrounding faith and identity with the Hopkins community. 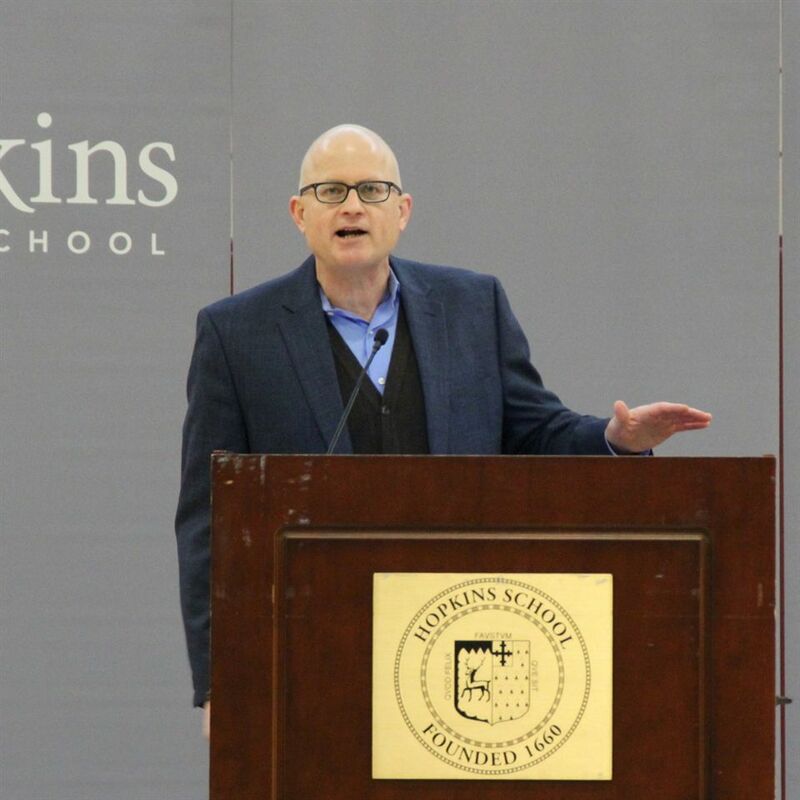 On Monday, January 7, author and poet Christian Wiman spoke at an all-school assembly and two breakout sessions in the Calarco Library. 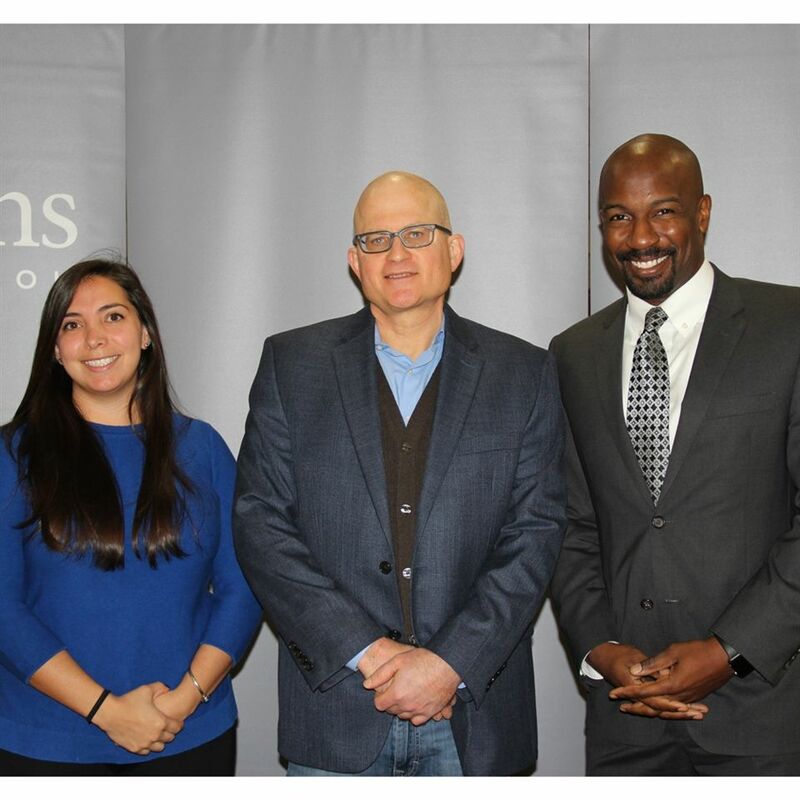 Wiman spoke about his continued exploration of faith, “accidental theology” or theology conducted by unexpected means, and navigating a secular culture as a Christian intellectual. Wiman is currently Professor of the Practice of Religion and Literature at the Yale Divinity School, and author of My Bright Abyss: Meditation of a Modern Believer. 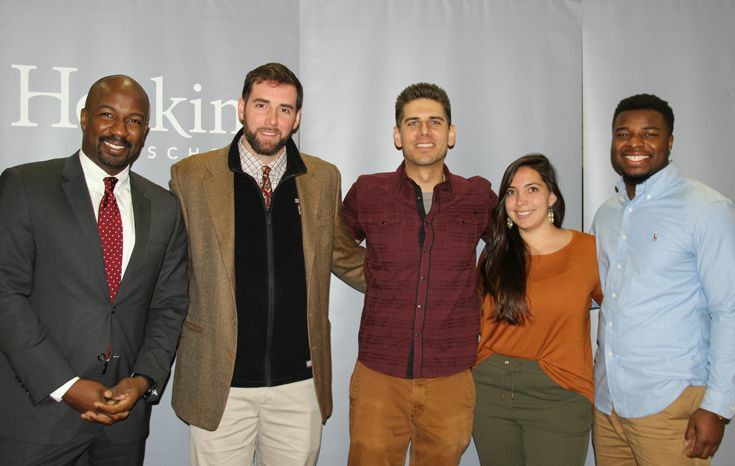 On Friday, January 11, the Hopkins community engaged with Colombian American poet, speaker, actor and author Carlos Andrés Gómez, who spoke at assembly and at three Q&A sessions in the Weissmann Room. 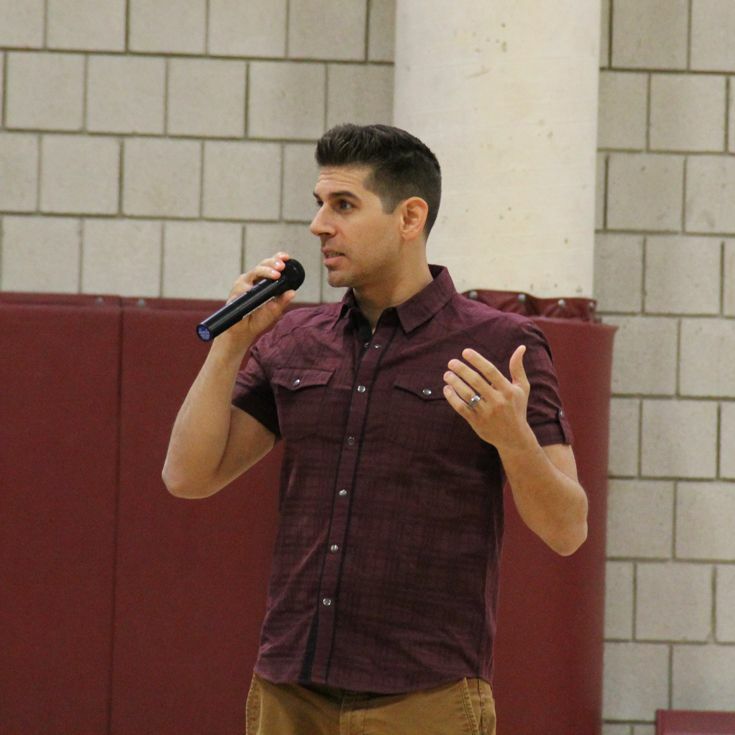 Gómez spoke candidly about his journey to acknowledge his true self, navigating through and around expectations of masculinity and gender norms, and now into the role of fatherhood. His talk resonated with the community, with breakout sessions packed to the brim. Gómez has appeared in HBO’s "Def Poetry Jam,” TV Ones’ "Verses and Flow," and Spike Lee’s movie Inside Man with Denzel Washington. He is also the author of the memoir Man Up: Reimagining Modern Manhood released by Penguin Random House. While these two poets explore vastly different topics, it was also an opportunity to celebrate poetry as a diverse form of self-expression. The visits were arranged by the Office of Equity and Community, in continued programming focused on identity, spirituality and gender equity.